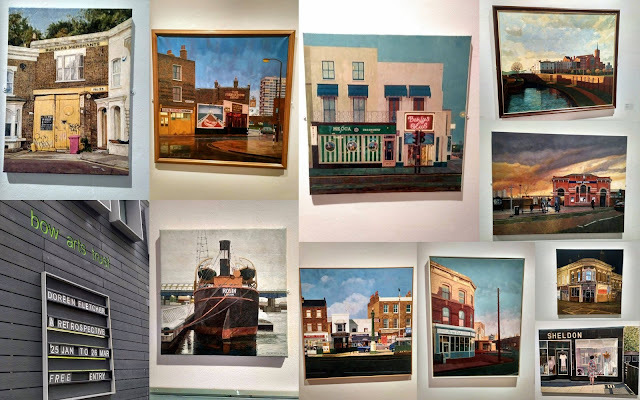 Better late than never but collage is from exhibition in Bow Arts Trust of works by East End painter Doreen Fletcher (who I think lives in Forest Gate, Newham). What fantastic paintings from someone who so discouraged by lack of recognition that she gave up in 2004. Her paintings only came to public knowledge (and acclaim) in 2014. I never thought that my Forest Gate Dentist surgery would feature in a work of art. The exhibition finishes tomorrow (26 March).